There always is a reason for us to have a party. Let it be a kid’s birthday party, or graduation party, or even a bachelor party. Whatever your excuse is for a party, the party you throw will go a long way and could be the talk of the town if you manage to make it a fantastic one! Here are a few ways how you can make your kid’s party look awesome! 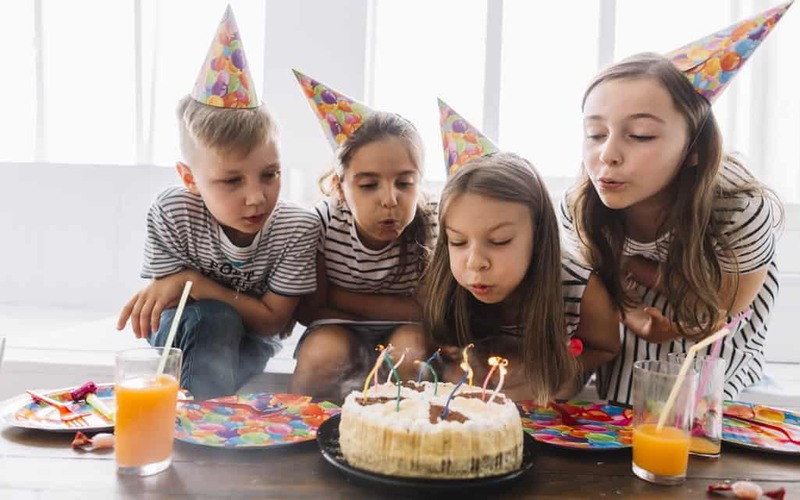 Planning a birthday party theme can be really tough, especially if it’s a birthday party for a kid. You can design a theme with their favorite color, or their favorite character, or something that is pretty famous in the days. Whatever theme you plan, make sure to make the most out of it. You can have decorations put up with the theme colors, have theme featured party plates and cups, balloons, streamers, bags, etc. There are specialist party shops that can cater to all your needs. Some examples of themes are circus fun, space party, animal theme, pirate party, etc. If your kid goes to kindergarten or preschool, or even elementary school, then there’s an easy way to distribute the invites. You can either give to the teacher, or you can give it to fellow parents when you g drop your kid or pick them up from school. If you’re having a theme party for your kid, then the invites should also be theme related. There are a lot of readymade options, or you can get crafty and prepare your own. You can make handmade invites, or even send invites digitally! You can find everything you need in the party theme section, at the dollar store, or even at the craft’s store. You can decorate with neon balloons, streamers, neon party hats, have a backdrop, etc. If you have time on hand, then you can even do fun DIY craft projects like painting the plastic flatware, or decorating cups and making a balloon drop. You can make a black backdrop and cut out neon letters to suit your theme. Read more about it here: https://www.neonsignsdepot.com/open/. Games and activities are must-haves at any kid’s party! They’re something that the kids look forward to the most, besides the cake. There are so many activities that you can plan for the kids like having the piñata, blind man’s bluff, decorate your own cupcake, a small pool party, find the pebble in the ball pit, musical chairs, or even plan a sleepover if the parents are okay with it. You can have a fun movie, some cookies, and milk and storytelling time to make a memorable night! Don’t go overboard with birthday food. Try to keep simple food and snacks for everyone. You can even go ahead and have bite-sized snacks for everyone to have a minimum mess, and also so that the food doesn’t go to waste. You can also have small snack items in their giveaway bags.